Amanda Lanier* is an applied linguist and teacher educator specializing in social and cultural aspects of language learning, teaching, and use. She is an assistant professor at Michigan State University, where she contributes to the development and operation of the distance-based MA in Foreign Language Teaching (MAFLT) program. 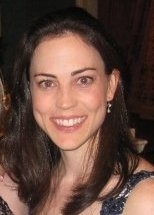 Amanda earned her doctoral degree from Georgia State University, where she was a fellow of the interdisciplinary Language & Literacy Initiative for four years. Her recent work has dealt with issues of identity, culture, and literacy in the learning of Arabic as a foreign language in the U.S. She has also investigated identity construction and language use in an online learning context using methods drawn from ethnography and corpus-based discourse analysis. She continues to conduct research and teach courses on identity, culture, and literacy, particularly in relation to heritage language learning and less-commonly-taught languages. Her experience as a language teacher dates back to 2002, teaching English as a foreign language in the Czech Republic. After four years overseas, she taught English for academic purposes in a number of settings. She began teaching applied linguistics and language pedagogy at the university level in 2011. She has presented at major conferences around the U.S. including the American Association of Applied Linguistics (AAAL), Teachers of English to Speakers of Other Languages (TESOL), the American Council on the Teaching of Foreign Languages (ACTFL), the National Council of Less-Commonly-Taught Languages (NCOLCTL), and the National Heritage Language Resource Center (NHLRC) Research Institute. She has also published peer-reviewed articles, book sections, and book reviews. In 2013, she was selected to receive the annual AAAL Wilga Rivers Graduate Student Award.